You never know what you’ll discover – or who you’ll meet – thanks to magazines and social media. I first read about Mary Weber and her debut YA fantasy novel, Storm Siren, in Writer’s Digest, then got caught up in the Twitter buzz that followed over the summer. The hype was well-deserved, in my opinion. Storm Siren is a vivid, visceral, and inspiring tale of a young Elemental girl’s struggle to control her storm-wielding powers, save her homeland from impending war, and defeat her inner demons. It’s a brave and unique story that stands out in the crowded YA fantasy market, and one that fans of the genre shouldn’t miss! Thank you so much for stopping by, Mary! And congratulations on Storm Siren! It’s been out since mid-August. How has the experience been so far, with the high praise the book has received in its reviews? Mary: Aww thanks, Sara! (And thanks so much for your lovely Storm Siren review!) It’s really been the best adventure, especially getting to meet so many new readers and friends. When and how did you decide to take writing and a career as an author seriously? Mary: About six years ago I went through this season of pausing. Like, I sort of just internally sat down and took some space to find myself beyond my roles of mom, wife, employee, etc. Don’t get me wrong – I love being those things! But I recall telling my husband, “I know who I am in those roles, but I’m not sure who the rest of me is.” During that time, I began to write as a way to discover more of the person in me and to explore her view of life and enjoy the beauty she sees in the souls of others. Shortly after, I realized I loved the journey enough to pursue it as a career. I like to ask other writers this question, because each one has a different reason. Why do you write? What drives you to be a writer / author? Mary: Can I say “see above answer”? 😉 And I’d love to know – what drives you as an author, dear Sara?? Sara: You had to ask that question, didn’t you, Mary? *lol* It’s hard to explain because I’ve been writing stories and poems since I was 5 or 6 years old (as soon as I learned how to write, basically). Maybe it’s a combination of the desire of self-expression and the fun and challenge of storytelling… but all I know is I can’t not write. I’ve taken breaks now and then, but I’ve never quit writing. It’s in my blood; I have to do it, or else I feel like something’s missing. If that makes sense…? Onto Storm Siren now. I haven’t read many fantasy books featuring Elemental magic, so that’s what made your story unique for me. What made you explore this angle of the genre? Maybe it has something to do with you being a big fan of The Last Airbender…? Also, why storms for your protagonist, Nymia? As far as Nym’s weather-manipulating ability, that comes from my obsession with storms. The power, the scent, the beauty… It seemed the perfect ability for a character whose curse (or gift) is capable of both magnificence and destruction. Nym’s powers aren’t all that make her extraordinary. She’s incredibly brave as she deals with a host of emotional wounds and in the face of international conflict. What do you admire most about her? Mary: I think her ability for compassion as well as her courage to become the person she wishes she were in spite of the internal and external struggles. I loved the world-building in Storm Siren! Elementals, monsters, the Valley of Origin, costume parties with the elite, flesh-eating horses (*gulp*) – Nym’s universe is one of the most colorful and unique places I’ve visited in fantasy lit. So, I’m curious… If you ever visited Faelen or the surrounding lands, what you do while you’re there? On a more serious note, I was moved by how you tackled tough subject matter like insecurity and self-harm in Storm Siren. Would you mind sharing what inspired you to make this part of Nym’s personal journey? Mary: I’m grateful you brought this up. The heart of Storm Siren totally emerged out of my work with teens, specifically the girls, and my belief that each of us is born into this world as already-powerful, creative individuals. I tend to refrain from purposefully putting “messages” in my writing (I usually just trust they’ll flow out if they’re supposed to be there). However, I broke that rule with the issues of insecurity and self-harm because they’re so very important to me. There is so much in our culture and media constantly shouting mixed messages to girls and women of what strength and beauty are. It can be unbelievably disrespectful and devaluing, not to mention breed such insecurity. I wanted to broach that as well as the tragic struggle of self-harm with Nym, but also show the power that friendship, support, and embracing of one’s own internal strength can have to overcome those struggles. I tried to do so in the most honest and caring way I could, but also the most real. In the back of the book is a list of reader questions and the last one has to do with self-harm as well as offering a resource which those who are struggling can reach out to. I truly hope they do. 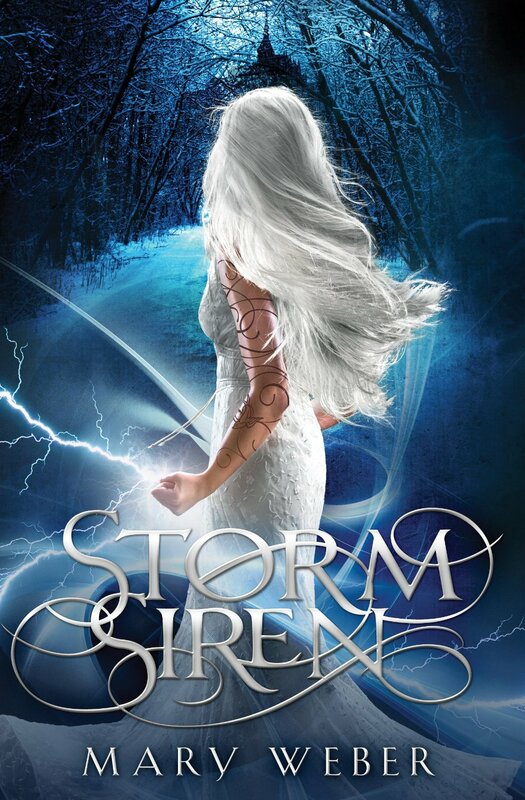 If you could choose any character from Storm Siren that you’d like to have dinner with, who would it be? Why? Even better, what would happen during that dinner? Mary: Ooooh, can I have two? Because most definitely Eogan and Lord Myles. I would annoy the heck out of them. And then evil laugh. Your road to authorship was a little bit different than others. You actually connected with your future publisher first, then found your first agent. Could you share that experience with us? Being a tea reviewer, I jump for joy when I find other writers who love tea. Do you have any favorite brands or types of tea? Mary: Aww I love this! I had no idea!! Okay, so I’m a chai latte person in the morning (which I don’t consider tea), and then I adore real, true, afternoon tea. Right now, I’m on a green tea and mint kick. Also, I’m obsessed with anything from Tea Forte. What’s YOUR favorite kind, lady?? Sara: Ohhhh dear. I don’t think I can choose! But if I had to… I love jasmine teas or tea blends with jasmine. As for specific kinds, the ones that pop into my head first are Body + Mind, Blood Orange Oolong, and ToLife (all from Teavana). You mentioned Tea Forte – I really like their Orchid Vanilla black tea and African Solstice herbal tea. And if you like black and green tea blends, I recently tried Marianne’s Wild Abandon from Bingley’s Teas, and it’s absolutely delectable! Now you’re working on Books 2 and 3 of the Storm Siren trilogy. How are they coming along? Can you offer some hints on what readers can expect in those stories? And, any chance readers might see other kinds of Elemental magic (fire, water, etc.)? As for seeing other kinds of Elemental magic – all of my Uathails possess some type of control over an element, but not quite in the classical sense. For instance, Myles’s ability is to control people’s perceptions, while Lady Isobel’s Mortisfaire power allows her to change flesh into physical stone. In that way, I consider Nym to be the only true Elemental – having the power of wind, air, fire (lightning), and water. That said, we will totally see more powers – particularly in Book 3!! Any idea what other projects or ideas you’d like to explore after the Storm Siren trilogy’s finished? Mary: Ooh yes! I have a sci-fi in the wings which I can’t wait to get to. How about YOU, Sara-dear? Any project ideas for after you finish your current story??? Sara: Well, it’s really hard to think about future projects when you’re still forging through Draft #1 of a WIP. *lol* That said, yes, I have two ideas! One is a short story / novella involves my WIP’s protagonist, set 5 or 6 years prior, and will be epic / high fantasy. I can’t commit to either short story or novella yet – let’s see how many words it takes to tell it. 😉 The second is a contemporary YA fantasy involving mermaids and Cape Cod, Massachusetts. I want to do some world-building and “market research” on YA mermaid novels before I dive (no pun intended) into that story. What one piece of advice would you give to other writers who are working on their first drafts? Mary: Dig into your soul until you find your voice — the voice that’s scared of what people will think or tries to put the grown-up shoes on so no one will know he or she is secretly insecure. Because you know what? We’re all insecure to some degree. But when you tap into the dreams and fears and give that hidden person a voice? They’ll begin to sing. And that is where I believe our stories take on heart. And yours is a heart the world needs to hear from. THANK YOU FOR HAVING ME, SARA!!!!!!! I can’t wait to read YOUR stories soon!!!!! Sara: Awwww, that’s so sweet of you, Mary! You’re very welcome, and thanks again for being here today! 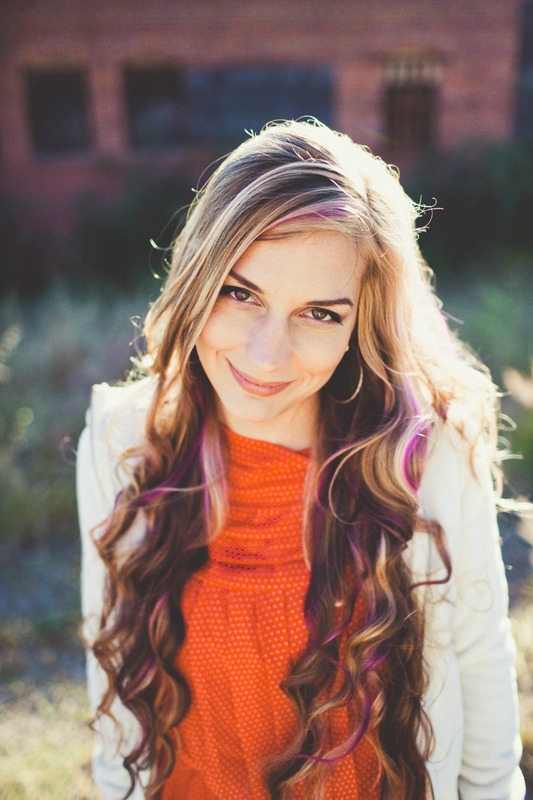 About Mary Weber: Mary Weber is a ridiculously uncoordinated girl plotting to take over make-believe worlds through books, handstands, and imaginary throwing knives. In her spare time, she feeds unicorns, sings 80’s hairband songs to her three muggle children, and ogles her husband who looks strikingly like Wolverine. They live in California, which is perfect for stalking L.A. bands, Joss Whedon, and the ocean. Purchase Storm Siren now at Amazon, Barnes & Noble, The Book Depository, Books A Million, or your favorite indie bookstore. I liked “Storm Siren” a lot, so I definitely recommend it. Not sure if it’s out yet in New Zealand / Australia, but maybe you’d be able to get a copy from Amazon…? Loved it! Couldn’t put it down… Talk about a cliffhanger?! YES. XD Makes you want to read the sequel, doesn’t it?? I loved Storm Siren. Mary is Brilliant. Her words captured me on the first page and didn’t let me go even after the last. I can’t wait for book 2.